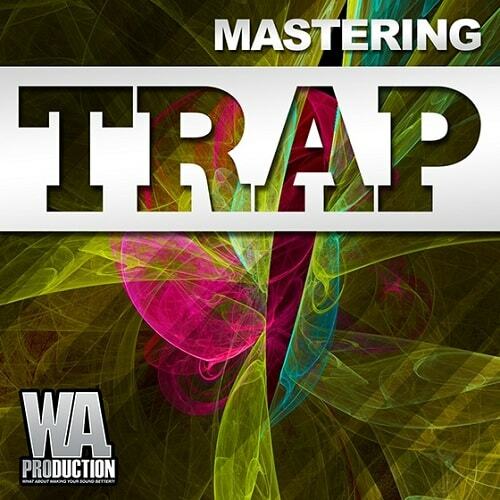 ‘Mastering: Trap’ is continuation of W.A. Production’s long awaited mastering series containing courses loaded with the most effective techniques and tips for getting the best mix for your tracks. W.A. Production has teamed up with MasteringEDM to bring their incredibly high standard of mastering courses directly to you. More than 2.5 hours of material is included, all designed to help you master the genre. W.A. Production is very proud to announce this great new partnership with MasteringEDM. Mastering tracks in your studio has never been so interesting and fun. As all courses are streamed online, inside the pack you will find a file with a unique URL that allows you to use the link on any device and watch tutorials anywhere and anytime you want. In detail this course includes 148 minutes of material divided into four complex courses. • Present three mastering sessions with three different sets of tools. The first master is done with nothing but free plugins. Next the team master the track with iZotope Ozone, and then lastly with their favourite paid plugins. In addition to this the team will explain how to get an appropriate level for digital release in 2016 so you can understand what happens to your music when you put it online.